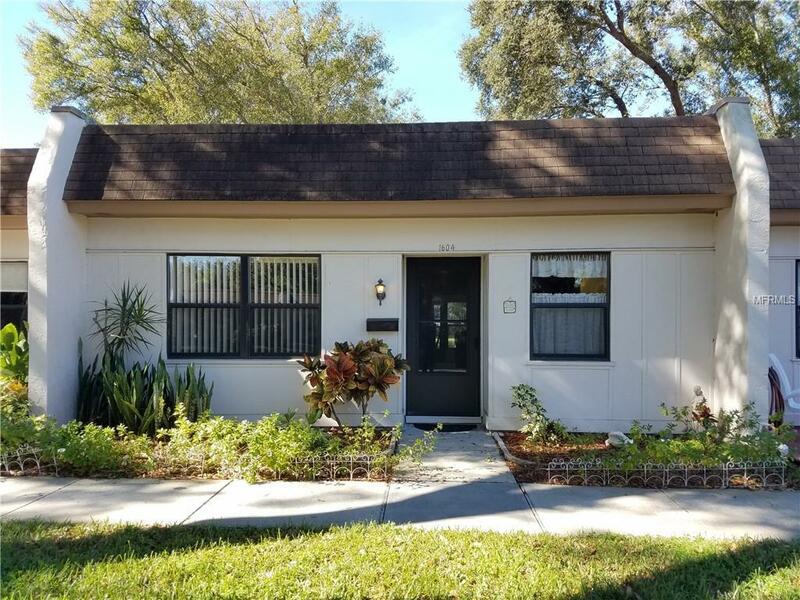 Impeccably well-maintained, Move-In Ready, FURNISHED 2bd/2ba desirable Front-Entry unit w/rear court yard view, plus covered parking & exterior storage unit! Single-story villa style home features following *UPDATES* 2018 HVAC System; NEW Roof; Newer Windows; INTERIOR Laundry; Attractive Comfortable Furnishings! Economical living at its BEST conveniently positioned in the hub-bub of our amazing, ever-so-famous Clearwater, Fla!! Location, Location, Location! Swoon in delight over this lovely community called Mission Hills - sparingly built over 66 acres of a nicely landscaped grounds! *Low HOA fee $480/mon includes: ALL exterior maintenance (roof, painting, grounds, roads, etc), MOST of your utilities (water, sewer, trash, & gas which encompasses your units heat supply, hot water, & cooking! ), basic cable, professionally managed, and so well kept (NOTE: land-lease fee included in HOA fee)! Mission Hills consists of 477 units & is a wonderful 55+ community that is so wonderfully adorned by Nature! AMENITIES: a clubhouse w/ a library, fitness equipment, & pool table. An Active Lifestyle Awaits YOU- Take up shuffleboard, join your neighbors walking the beautifully landscaped community and take a Splash in a HUGE heated pool all year round!! Convenient to St. Pete, Tampa, PLUS all the restaurants, shopping, grocery, healthcare services, airports, sports, entertainment, and crystal clear pristine sandy beaches youll ever want/need to visit! Additional Lease Restrictions Must Own 1Yr Before Leasing; 3 Month Min. Lease Period. 55+ Application (Background Check + in-person interview) At Office For All Occupants>18Yrs.